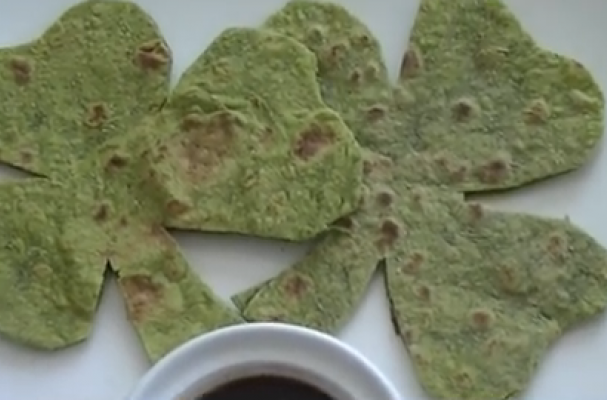 Shamrock flatbread is a fun recipe to prepare for St. Patrick's Day. This flatbread only contains two ingredients and can be whipped up in a flash. These edible shamrocks are perfect as an appetizer. Serve them with various dips or wrap them around your favorite cheese and vegetables.